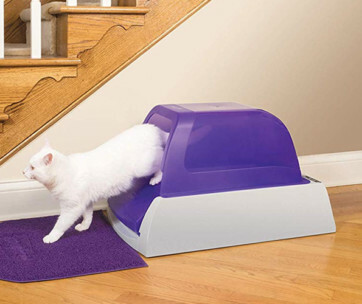 Every pet needs to have both exercise and play time to promote their optimum health. 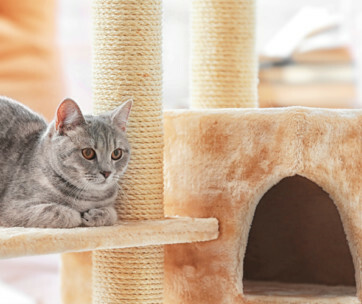 As far as cats are concerned, nothing can be better than having plenty of fun times at the Go Pet Club Cat Tree Furniture. It’s got 4 floors of premium catty accommodation complete with the purr-fect amenities for your feline friend. Standing some 62 inches high in a 4-tier tower, the Go Pet Club comes with a venerable hammock on the first floor, a hideout den and a side perch on the second, a plain platform on the third, and a crow’s nest up at the balcony. 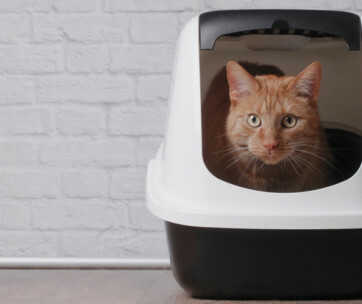 There’s plenty of room to let your cat to move about, climb up or down, and sink its razor sharp claws without having to feel sorry for your furniture. 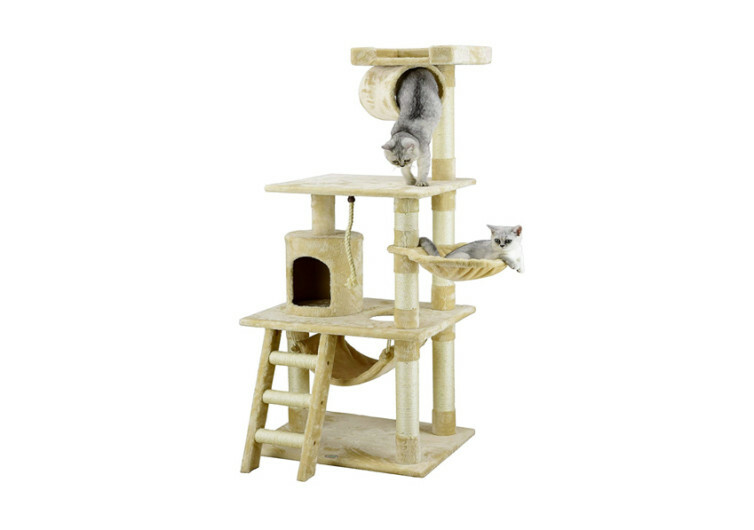 It’s the purr-fect tower that encourages your kitty to exercise, play, and let out its vivid imagination. Swipe at the dangling rope and pretend that it’s the tail of its number one prey. Stay hidden inside the nifty den, curl up inside, and go to a peaceful slumber. 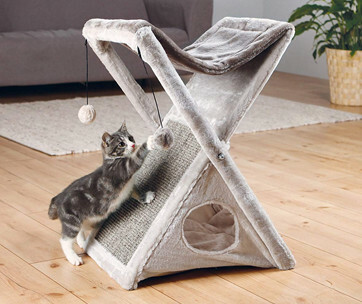 Your kitty can also use the hammock downstairs for such a purpose. 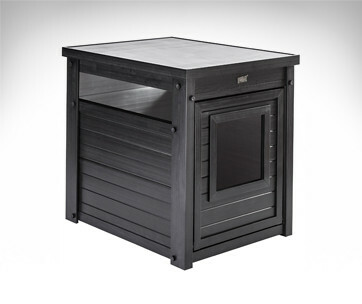 The side perch should also be hefty enough to cuddle your cat. The open-ended tube just under the top perch is perfect for squeezing your cat’s body, turning it into a kitty sandwich that no hotdog can ever replicate. 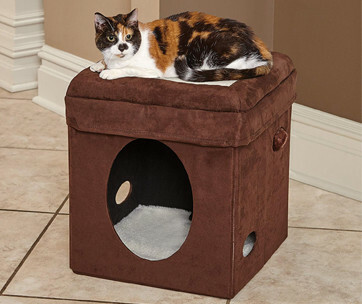 Stable enough to let an entire household of cats, the Go Pet Club Cat Tree is designed specifically to let cats have all the fun they need, mitigating feline boredom, and hopefully address some of the behavioral issues that typically result from pet boredom. 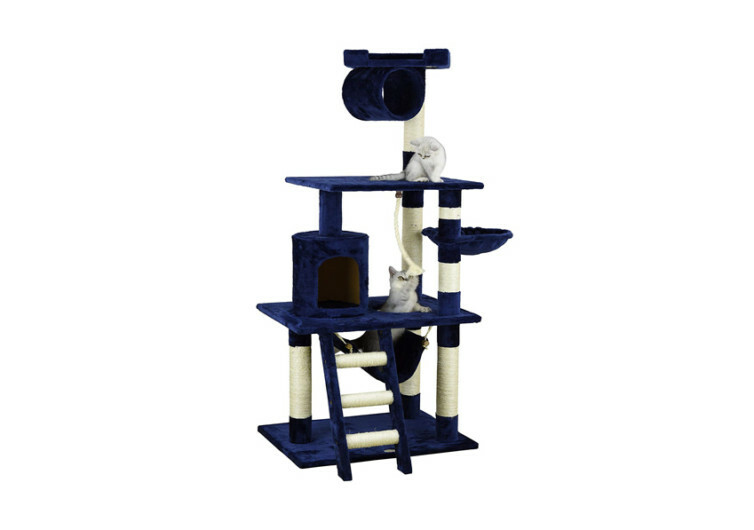 More importantly, it’s the purr-fect tower for members of the kitty kingdom to really stretch out, unwind, relax, and have the best times of their lives.